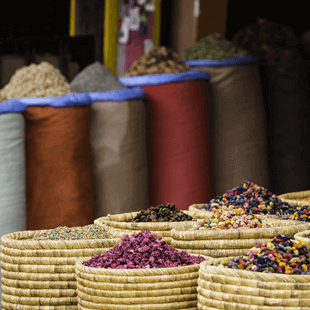 As with all of our holidays, our tours of India operate at a relaxed and leisurely pace, allowing you to fully explore this fantastic country with ease. There are two tours of India to choose from, and they both include The Golden Triangle, meaning whichever you choose, you can tick off the three iconic cities of Delhi, Jaipur and Agra. Plus, both of our India tours include a stay in the heart of Ranthambore National Park which was once the private hunting ground of the Maharaja. It’s now home to many species of wildlife, including the park’s most famous resident, the tiger. What’s more you’ll get to explore what is arguably the most beautiful building in the world: the Taj Mahal. Both of our tours not only include a visit to this must-see monument, but they also give you the opportunity to see the sun rise over the Taj Mahal from the Moonlit Garden across the river. By taking The Golden Triangle & Ranthambore tour you’ll experience all of this with the help of one of our experienced Distant Journeys Tour Managers. However, if you’d like to delve deeper in to this mesmerising country, you can choose our longer tour, A Journey Through India. 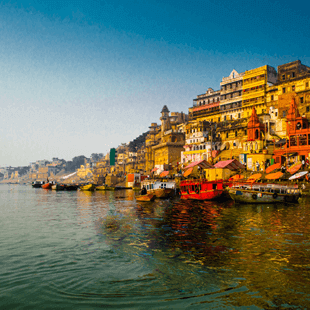 This builds on The Golden Triangle & Ranthambore tour with a visit to the colonial city of Lucknow and an unforgettable trip to Varanasi – the spiritual heart of India, situated on the banks of the River Ganges. Our Directors have over 60 years’ combined experience in the travel industry, plus they’re genuine India experts who not only love this unique country but they also know all there is to know about creating the best tours of India from the UK. As a Distant Journeys customer then, you can be sure our tours are of the highest standard and include the very best that India has to offer. Plus, all of our Indian touring packages are fully-bonded by the Civil Aviation Authority (ATOL no. 10913), so you can be 100% certain that your money is secure when you book. Delhi Explore the bustle of Old Delhi and the tree-lined boulevards of New Delhi. Ranthambore National Park Spend two nights among the ruined fortresses and exotic animal inhabitants of this heritage site. The Taj Mahal Arguably the most beautiful building in the world. Providing exceptional value while maintaining the highest standards is at the heart of everything we do. We understand that good accommodation plays a big part in your holiday, which is why we generally use hotels in India with at least a four-star rating. Not only that, but our carefully selected collection of hotels are all situated in the best locations for you to explore – or simply enjoy your surroundings. When you choose an India tour with Distant Journeys, you’ll enjoy so many incredible experiences that come at no extra cost. From a rickshaw ride through Old Delhi and two canter safaris in Ranthambore National Park, to visiting the Taj Mahal and morning boat ride on the River Ganges – they’re all included in the price of The Golden Triangle & Ranthambore and A Journey Through India tour. Here at Distant Journeys, we think we’ve found the perfect balance of freedom and flexibility that your escorted tour of India needs. Well, that’s entirely up to you! On both The Golden Triangle & Ranthambore and A Journey Through India tours, our flights with Emirates depart from London Heathrow, London Gatwick, Manchester, Birmingham or Glasgow. Alternatively, you can opt to fly with Virgin Atlantic from London Heathrow at no extra cost. All you’ll need to do is decide which location you’d like to travel from. On an escorted tour, we think it’s important to still have the flexibility to enjoy experiences that really interest you. We build in Freedom Days, allowing you to do just that. Whether you’d like to visit the Lotus Temple, have dinner with members of the Rajput royal family in their home or visit an organic farm, it’s all about what you’d like to do. Who wouldn’t? If you’d like to extend your stay in India after your holiday, simply let us know. Arranging alternative flights home is all part of our service. If you book either our The Golden Triangle & Ranthambore tour or A Journey Through India by the 1st July 2019, you can enjoy two excursions for just £39 per person. While in Jaipur, you can enjoy a guided walking tour through the heart of old city. We are delighted to have been awarded the ‘Best Small Holiday Company to Australasia’ in both 2016 and 2017 at the British Travel Awards. We are so proud that our customers really love what we do. So much so, Distant Journeys has achieved an incredible 99% satisfaction rating with independent reviews verified by reviews provider Feefo. Spend longer in each destination so you can fully explore at your leisure. Superior hotels, all flights, many meals and fantastic excursions are included. Select the flights, stopovers and activities to create your perfect holiday. 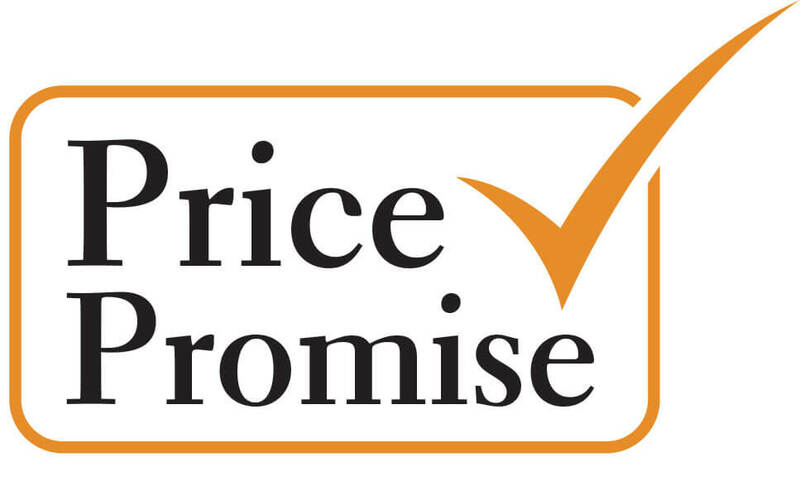 We want you to have the peace of mind you are paying the best price for your holiday, so Distant Journeys guarantees this through our Price Promise. We will reward you for booking early. The earlier you book the better the offer you’ll receive. We never offer last minute discounts, so you can be confident you’ll never see your holiday cheaper once you have booked. We will never add surcharges onto the cost of your holiday, once you have booked. We will price match any identical holiday you find and give you £200 off a future booking.